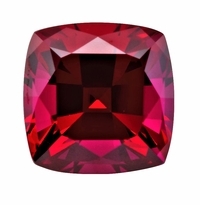 Ziamond�s Ruby Lab Created Synthetic Loose Stones are created in a laboratory under the same conditions as nature takes to make a genuine natural Ruby gemstone, offering you the finest possible man made alternative at a fraction of the cost. Our Red Rubies are lab created and lab grown synthetic Corundum. 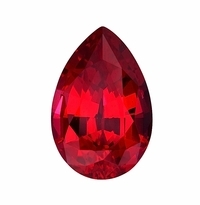 While they are technically imitation ruby gems and sometimes referred to as fake rubies, they possess the same physical, chemical, and optical characteristics of natural rubies. 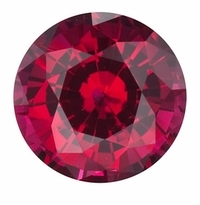 They are also just as hard as naturally mined rubies, with a hardness of 9 on the Mohs hardness scale and are hand cut and hand polished in the same manner as genuine precious Rubies. 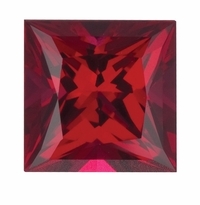 Our lab created rubies can be worn daily with peace of mind to withstand the day to day rigors of daily wear. 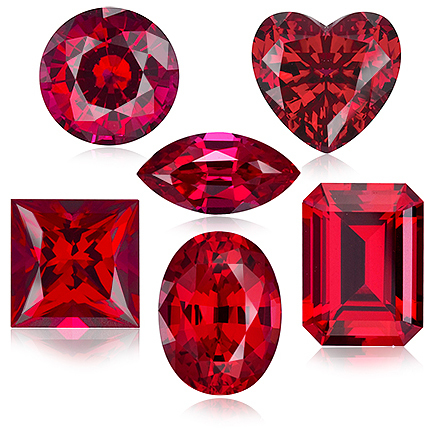 Our man made rubies undergo all the same post mining finishing processes that a fine genuine Ruby does. 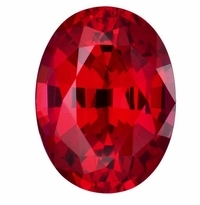 They are all hand cut and hand polished to fine gem quality specifications, insuring proper reflection and refraction of a rich and lustrous color of gem quality Red Rubies. 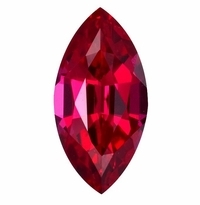 If you do not see the size or color you are looking for, Ziamond provides special custom cutting services of all our lab created man made stones. 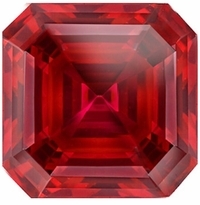 Simply e-mail us at info@Ziamond.com with your exact requirements, and we will respond with a quote. 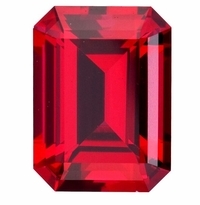 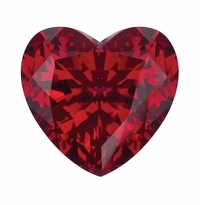 If you would like us to replicate an existing Ruby you already have, for travel or insurance purposes, just send us a copy of your written appraisal with the dimensions of your stone, and Ziamond will hand cut a replica Red Ruby to those exact dimensions. 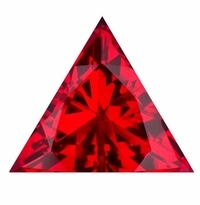 There are no returns on all loose stones.